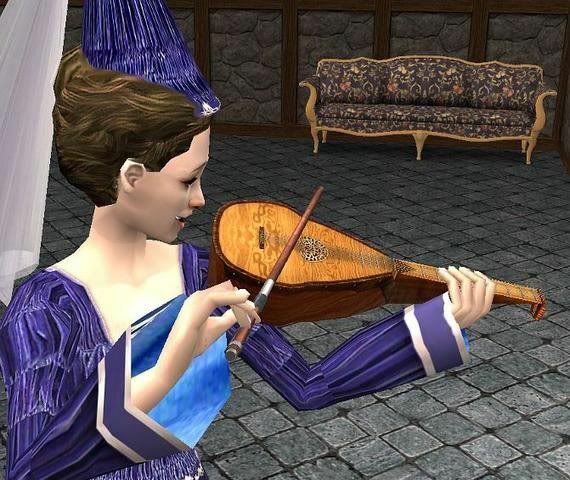 This is a playable Medieval Mandolin (Cloned from, and sounds like a violin) You will need Freetime. You need both of the packages included in the zip in your downloads folder in order for it to function. Enjoy! Jon...Can you recolour be included in lots (even those on MTS)? I am working on a specialty Gwrych lot right now and would really like to include the mandolin recolour. Sorry for the late reply, I've been without internet for a while. It's fine, my policy says you can do whatever you want with any of my creations short of stealing, so feel free. Thanks so much. I really do miss creating, I hope to be getting back into the swing of things soon as soon as I can get internet.